Vice Admiral Samuel Gravely Jr.
Today in keeping with the theme of Black H“African Americans in Time of War” I am posting an article about a pioneer of civil rights in the United States Navy. Fireman Recruit Samuel Gravely Jr. Things have changed much since 1942 when following the attack on Pearl Harbor a young black college student from Richmond Virginia enlisted in the Navy. Samuel Gravely Jr. was the son of a postal worker and Pullman porter while his mother worked as a domestic servant for white families in Richmond. His mother died unexpectedly when he was 15 in 1937 and he remained to help care for his siblings as his father continued to work. Balancing the care of his family with his education he enrolled in Virginia Union College, a Baptist school in Richmond. It is hard to imagine for most of us now to comprehend the world that the young Gravely grew up in. Segregation was the norm. Blacks in the south and many other locations faced personal as well as entrenched institutional racism. Violence against blacks was quite common and the Ku Klux Klan was strong. But Roosevelt was not deterred and by April 1942 changes were announced to allow African Americans to serve in other capacities. Even so African Americans selected for ratings other than messman were to be segregated and commanded by White Officers and Petty Officers. Despite this by 1945 the Navy was beginning to change. 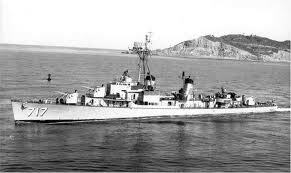 Gravely was chosen to serve on one of two ships assigned to the “experiment” of seeing how blacks in general ratings could serve at sea. 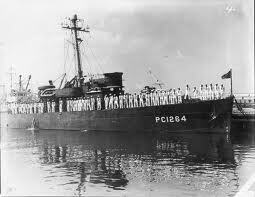 The USS Mason (DE 539) and the USS PC-1264 were assigned black crews with majority white officers, except that Gravely was assigned to PC-1264. Though his commander was pleased with his service Gravely, who had been denied admittance to Officer Clubs and many other “white only” facilities resigned from the Navy in 1946. He believed that the inherent discrimination of the Navy left him no place for advancement. He returned to complete his bachelors degree at Virginia Union. Gravely accepted the offer to return to active duty and never looked back. He worked hard for respect and used his natural talents, personality and size to command respect. He was a man who would blaze the way for other African Americans, and later women and most recently gays to go on to greater things. 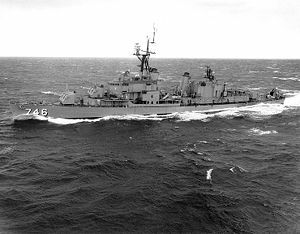 Gravely would go on to command three ships, all surface combatants. 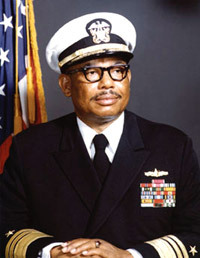 He was the first African American Naval Officer to command a Navy warship, the USS Theodore E Chandler (DD 717), the first to command a Navy ship in combat, the USS Taussig (DD 746) and the first to command a major warship, the USS Jouett (CG 29). 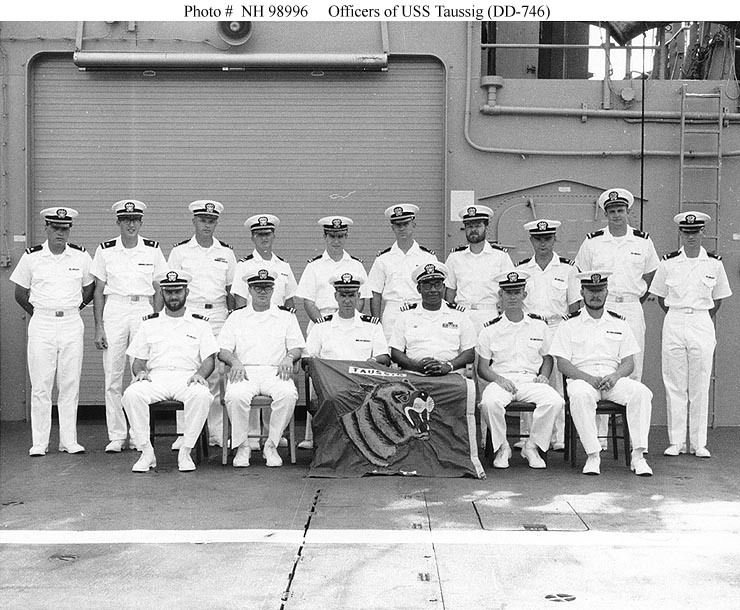 Promoted to flag rank he eventually became the first to command a Fleet when he took command of 3rd Fleet. He retired in 1980 and passed away in 2004. Vice Admiral Gravely blazed a trail for those that followed him and set an example for all Naval Officers to follow. He did it under conditions that most of us could not imagine. I am proud to serve in the Navy that he helped to make. I happen to work for an African-American Admiral at the Staff College, and I have served under African American commanders throughout every stage of my military career, in the Army and in the Navy. 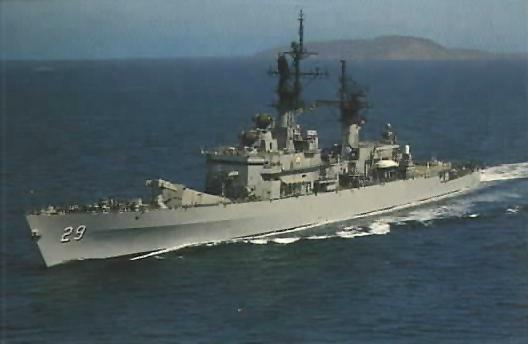 Admiral Gravely’s vision, service and memory are carried on in this navy and in the ship that bears his name, the USS Gravely DDG-107. 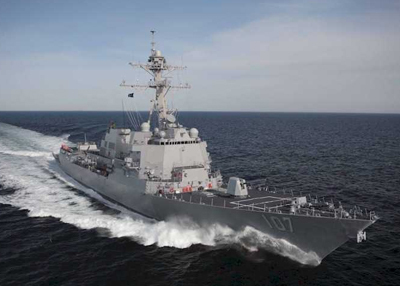 Today that ship and her crew stand watch in defense of our nation and our friends around the world. It is a fitting tribute to such an amazing leader. Cannot Afford to Fail ~~ Admiral Samuel Gravely, Jr.
What a great story. I had a reunion with my old shipmates last night, one who is married to a USN ships captain. Beers, tears, laughter. This man you write about above was a true leader and I hope more minorities can rise up the chain of command in my own country’s forces so that they have the opportunity to give their very best for their country as well. Thanks Steve for another great story.